Italian artist Paolo Cirio (b.1979) is a conceptual media artist. His work investigates modes of configuring networks of social, economic, and cultural relationships. Cirio explores concepts that allow him to manipulate structures and arrangements of information in contemporary society, highlighting issues like cyber-security and privacy, copyright and financial inequality in the contemporary digital age. Cirio’s digital projects have tampered with such institutions like Facebook (Face to Facebook, 2011), Amazon (Amazon Noir, 2006), Google (Google Will Eat Itself, 2005), Nato (Anti-Nato Day, 2002), and the financial industry of the Cayman Islands (Loophole For All, 2013). For Face to Facebook (created together with Alessandro Ludovico), Cirio scraped one million Facebook profiles and filtered them with facial recognition software, after which he published the images on a website titled Lovely-Faces.com - a self-designed mock dating website. The profiles were sorted according to facial expressions; the project resulted in eleven lawsuits and various personal threats against the artist, and within days, it received attention from international media. Cirio has described his work as a “sculptural performance of the power of information”. 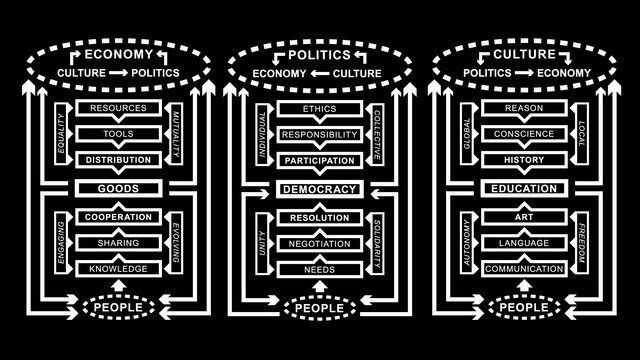 He is particularly interested in how specific arrangements of information influence the creation and perception of political, cultural, and economic reality, as well as people’s emotions, interpersonal relationships, and instinctive human behavior. Cirio: “(I) see art as a means to grab attention and to inform critically, invent utopias, and provoke subversive acts through visual and emotional sensational impact”. Cirio has been awarded a fellowship at Eyebeam, New York, 2012, and received the Award of Distinction, Interactive Art, Prix Ars Electronica, 2011. Some of his projects have received media attention due to the controversy they have caused, including by networks and publications like CNN, ABC, Daily Mail, Toronto Standard, Der Spiegel, El Pais, Libération, O Globo, and Apple Daily HK. Cirio’s artworks have been displayed and/or he has spoken about his practice publicly at various international institutions, including at Museum of Contemporary Art, Sydney, 2013; ZKM, Karlsruhe, 2013; CCC Strozzina, Florence, 2013; Museum of Modern Art, Rio de Janeiro, 2012; Wywyższeni National Museum, Warsaw, 2012, SMAK, Ghent, 2010; National Museum of Contemporary Art, Athens, 2009; Courtauld Institute, London, 2009; PAN, Naples, 2008; MoCA, Taipei, 2007; Sydney Biennial, 2007; and NTT ICC, Tokyo, 2006. He has had solo shows at Aksioma | Project Space, Ljubljana, Slovenia, 2011, and at Casa Gallery, Istanbul, Turkey, 2013. Cirio lives and works in New York.